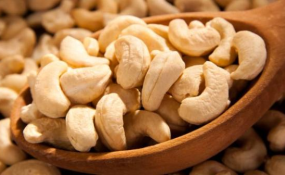 The government has secured a deal to sell 100,000 tonnes of raw cashew nut to a Kenyan firm at 418bn/-. The contract was signed at the East African Community (EAC) Headquarters between the CEO of the Kenyan firm Indopower, Mr Brian Mutembei and Director of the Cereals and other Produce Board of Tanzania, Dr Hussein Mansour. They signed the deal that would see the payments concluded within one week and shipment of the cashews start immediately. The Minister for Justice and Constitutional Affairs, Professor Palamagamba Kabudi who witnessed the signing said that the deal would benefit the government as it would cover all costs in procurement, collection, cooperatives and local government payments. He said the funds would be deposited at BoT whose Governor, Professor Florence Luoga witnessed the signing of the deal at a brief ceremony. Prof Kabudi hailed President John Magufuli's decisions for taking over procurement process to the current one of selling the cashews. He hailed the TPDF for a decent job done in collection from farmers. The Minister for Industry and Trade, Mr Joseph Kakunda said after the sale of the first instalment there will remain some 113,000 tonnes in store while local industries can only process 50,000 tonnes per year. He said there are still some potential buyers as some 18 traders turned up for discussions that took long time and it was a difficult job. Deputy Minister for Agriculture, Mr Innocent Bashungwa said that verification of growers who sold the crop to the government is complete by 95 percent and those verified are promptly paid. The Deputy Minister for Agriculture, Omary Mgumba said in Parliament on Tuesday that the government would sell 200,000 tonnes of cashew nuts abroad as it was in talks with foreign companies to do so. He said the government had so far collected 213,000 tonnes of cashew nuts from farmers. "We understand that storing the cashew nuts in warehouses for a long time will lead us to a loss, thus we are in talks with companies to start selling 200,000 tonnes of the crop outside the country." The government has stored cashew nuts it had collected from farmers in various warehouses pending being processed or sold. The government has bought the cash crop during this season and kept it in various warehouses after it entered into price dispute with local dealers. President John Magufuli directed dealers to buy the crop at 3000/- per kilogramme, of which traders failed. Therefore, in protecting the interests of cashew farmers, the government had decided to buy directly from them at 3,300/- per kilo.